THE EXTREME BUNGEE JUMPING a 107-meter high free fall. How could you resist the call of the void, this pure rush of adrenaline that spreads throughout your body ? Get over your fear and join us on the take-off area for a unique experience in the world ! 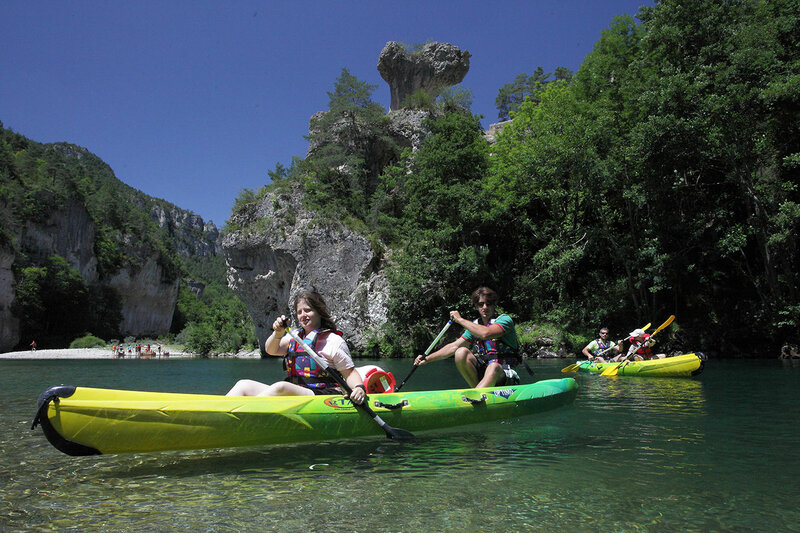 The arts of the space proposes sports activities in national park of the Cévennes, the gorges of Jonte, Gorge of the Tarn and the Dourbie. All our team is at your disposal to make you discover the enjoyments of the climbing, the canyoning, of it via – ferrata, the hike and the caving. Whether it is for the practice of simple activities, of sports days or the internships multiactivities, you will find formulae adapted to your desires. Situated near the Tarn Gorge in a green setting which will delight the lovers of nature and big spaces in search of sensations and of incomparable feelings, Limestone plateaus Feelings will make you discover the multiple facets of a region which will not miss to charm you. Stéphane will bring you his expertise and his passion put in the service of the diverse activities. Leave by chance in the trees of Lozère. 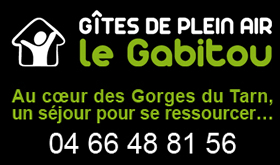 We welcome you in a park deprived of 10 hectares at the exit of La Canourgue (Lozère) on the road of Tarn Gorge. Come to visit the ecomuseum of the Limestone plateau Méjean. Between Tarn Gorge and the Gorges of Jonte, on the beautiful plateau of the Limestone plateau Méjean lives the small village of Hyelzas. It is in this small hamlet of Lozère that the museum ” Firm Caussenarde d’ Autrefois ” comes to raccompter us the life of the inhabitant of the limestone plateau. Caussenards shaped the landscape during centuries with few resources. In an exceptional site, the typical architecture, the tools, the machines, the furniture, are presented as if time had stopped. We organize for you educational schooltrips to the countryside and stays of groups in Lozère with sports activities or nature and discovery. The center Valley of Truyère, implanted at the heart of Margeride, is a place dreamed for reunions with the nature. Desire for an exclusive natural escape with your SUV or 4×4? We organize hikes and stays to discover Lozère and Aveyron differently! Ideally situated to discover all the diversity of our beautiful region, our 4 rural holiday cottages offer in an authentic frame, all the modern comfort for a pleasant stay with a total disorientation. It is in the warm atmosphere and in the biggest respect for their environment, at the heart of Aubrac and not far from Limestone plateaus, that Véronique and Yannick will be delighted to welcome you in Lozère in their 3 certified holiday cottages holiday cottages of France and Welcome to the Farm or in Aveyron in their holiday cottage “Aujols” situated in the valley of Aveyron between Aubrac and Lévézou. They will share with you love of this country and the passion of their job: breeders of cows Aubrac. Saint Rome’s municipal Campsite of Dolan welcomes you from May 1st till September 30th, 2016. On this site of the Limestone plateau of Sauveterre, in overhang of Tarn Gorge, you will find a friendly and warm welcome where the generous nature will bring you disorientation and tranquillity. The campsite is situated in border of Jonte, in front of ledges of the Limestone plateau Méjean, in the National park of the Cévennes, in 30 mn Tarn Gorge. We shall strive to make you like this country which was successively country of exile land of welcome and earth of resistance. You will discover here an environment protected, shaped by the man, of a rare diversity of landscapes. 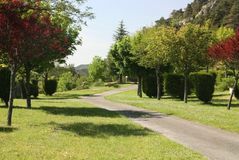 Welcome to the Campsite Caussanel real green setting on 10ha in Aveyron. We are situated in the department of Aveyron ( 12 ) by the lake of Pareloup where you can bathe and practise nautical activities. At the heart of the campsite, you can take advantage of our equipments: aquatic space, playing fields, playground. Isolated farm close to Millau and to Gorges du Tarn in Aveyron, La Blaquière benefits from an exceptional situation: a ” end of the world ” which offers a magnificent panorama on Gorges and the Limestone plateaus which deploy below. Our Big Holiday cottage of 19 places, is situated near Gorge of the Tarn and Millau at the heart of the Regional Park of the Big Limestone plateaus. That you are a group of friends, a “tribe”, or simply nature lovers or sportsmen, this holiday cottage of big capacity is the meeting place completed for your stay calmly! Our Big Holiday cottage of 19 places, is situated near Gorges du Tarn and Millau at the heart of the Regional Park of the Big Limestone plateaus. France, Yves and Noélie will indulge to welcome you in their campsite 4 stars situated at the heart of Aveyron, in the picturesque village of Séverac the Church, in 3 km of the dynamics town of Laissac, enters Grind and the entrance of A75 to Séverac-le-château. In the South of Massif Central, at the heart of Aubrac, not far from Tarn Gorge, holiday cottages of charm in an authentic village wait for you. We welcome you all year long to come to discover Lozère as the seasons go by. We want to welcome you The House of Butterfly, a house of firm inhabitant of Aveyronnais whom we renovated to make a Bed and breakfast. We wish to offer to our hosts a haven of peace where to relax and to relax, far from the tensions of the everyday life. Our house is situated in an ideal place to discover this supernatural région.de France or simply to escape from the daily life. 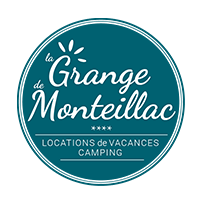 In the valley of the Lot, at the heart of Natural reserve of Aubrac and Big Limestone plateaus by the river the classified Campsite Marmotel 4 * welcomes you on 5 hectares of beautiful nature in a green and quiet setting. The campsite 4 studs Park of Charouzech is situated on a peninsula of the lake of Pareloup with a direct access to the beach. The camping proposes you rents of mobile homes, bungalow and locations campsite – caravanning. The ideal for holidays in family, an available and warm team will welcome you there and will propose you diverse activities. The sea in the campaign, the beach in the green country, the paradise of the fishermen and the amateurs of water sports. 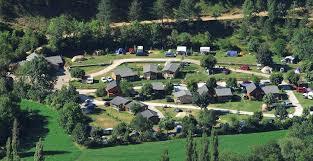 Welcome in our Campsite Rock of the Arc, for your holidays family with Aveyron. We are situated in the city of Espalion, at the heart of the Valley of the Lot, between Conches and saint Geniez d’ Olt, near the tray(plateau) of Aubrac. Our spacious locations, always near a toilet, will allow you to appreciate peace and authenticity. We also propose you a rental stock with the rent of mobile homes which can welcome up to 6 people. Charm, design; tradition, Well-being, swimming pool and spa: Soleilo, guest houses of classified charm 4 ears Holiday cottage of France or holiday cottage(shelter) big capacity is an invitation in the holidays, moments of pure relaxation and of absolute well-being. Harmony of colors, modern equipments and design, Isabelle and Laurent welcome you in their caussenarde building at the heart of the Tarn Gorge. Soleilo is the ideal place for your accommodation of holidays: atmosphere warm and refined in an authentic frame of old stones for an unforgettable stopover. With its big private beach and its 32 locations at the edge of Dourbie, river in clear waters, the Campsite Saint-Lambert welcomes you in a quiet and very natural frame, in a family and warm atmosphere. Campsite in Aveyron, the Flower camping the Terraces of the Lake, the campsite 4 stars, situated entreMillau and Grind, proposes you on 6 hectares of the spacious locations with a view of the nature, quality rents: rent of mobil home in the night, rent of mobil home in the weekend and the weekly rental, Bengalese’s rent toilé. Welcome in a region where the nature is described only with superlative degrees. Near the city of Millau, on the banks of the Tarn, the campsite of the Viaduct welcomes you in the regional park of the Big Limestone plateaus. Here, among the unlimitedness of trays limestones, Tarn and Dourbie sculptured magnificent valleys in the vertiginous walls and in the perched villages. 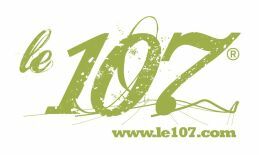 THE UNESCO did not make a mistake there moreover by registering the region Limestone plateaus – the Cévennes on the world heritage. The vacation village of Meyrueis for your holidays in Lozère, stay in the Cévennes with swimming pool.